Birth of Joachim II Hektor (1505-1571) in Cologne, Germany. 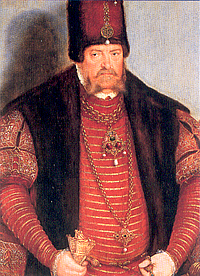 Joachim II Hektor was the Elector of Brandenburg at the time of the Reformation. 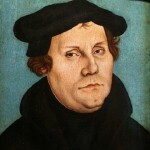 He remained true to the Catholic Church and to the Emperor of the Holy Roman Empire, but he tolerated Protestantism in the areas under his governance. 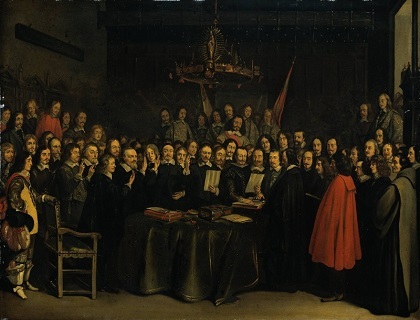 On several occasions he served as a mediator between Catholic and Protestant factions in the empire. 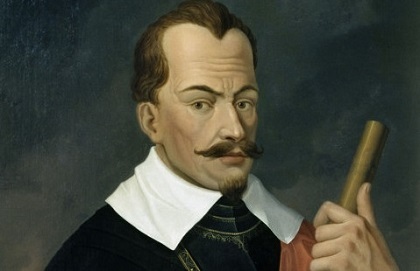 He played a significant role in the processes leading to the Peace of Augsburg (1555). 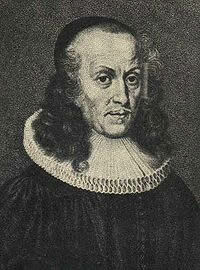 Birth of Philipp Jakob Spener (1635-1705), who founded German pietism. Birth of Christoph Graupner (1683-1760) in Kirchberg, Germany. Graupner was one of the most highly regarded composers of his day. The position of cantor at the Church of St. Thomas in Leipzig was offered to him before it was offered to Bach. It was only after Graupner had declined the position that it was offered to Johann Sebastian Bach. Graupner himself had studied at the Thomas school in Leipzig. Birth of Joseph Hilarius Eckhel in Enzersfeld, Austria. Eckhel developed the system of classification of coins for numismatics which became the standard. He became a professor of numismatics at the University of Vienna and the curator of the Austrian imperial collection of coins. The published work in which he developed his system was Doctrina numorum veterum (1792-1798). Birth of Friedrich Müller in Kreuznach, Germany. 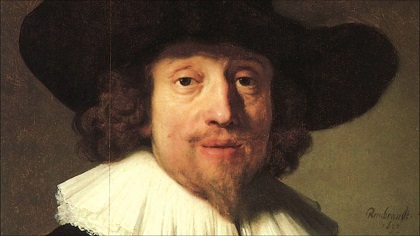 Müller was a painter, poet and dramatist. 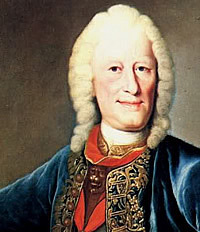 Titles of his Sturm und Drang plays include, Fausts Leben dramatisiert (1778), and Das Nusskernen (1811). Birth of Eduard von Bauernfeld in Vienna, Austria. 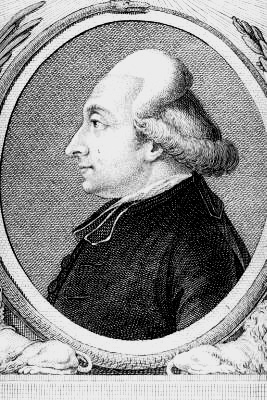 Bauernfeld was a very popular dramatist in Vienna for all of his adult life. 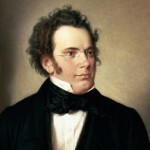 He was a friend of Franz Schubert and Franz Grillparzer. 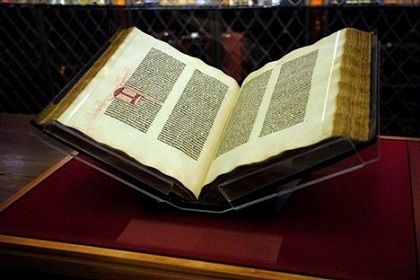 Titles by Bauernfeld include, Bürgerlich und romantisch and Aus der Gesellschaft. Birth of Friedrich Graf von Beust in Dresden, Germany. 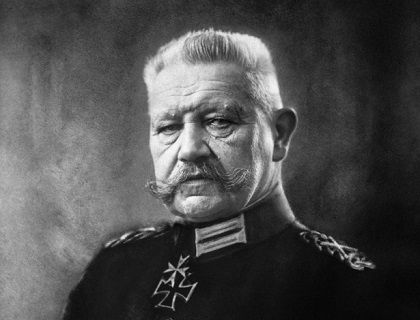 As the foreign minister of the Austrian Empire from 1867-1871, it was he who negotiated the agreements leading to the creation of the dual monarchy and the Austro-Hungarian empire. Birth of Wilhelm Wien (1864-1928) in Gaffken, Germany. Wien was a German physicist who, in 1893, used theories about heat and electromagnetism to deduce Wien’s displacement law, which calculates the emission of a blackbody at any temperature from the emission at any one reference temperature. He also formulated an expression for the black-body radiation which is correct in the photon-gas limit. 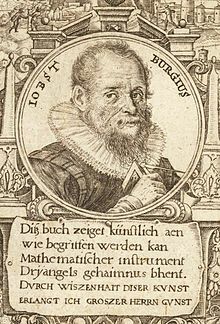 His arguments were based on the notion of adiabatic invariance, and were instrumental for the formulation of quantum mechanics. 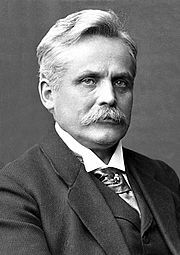 Wien received the 1911 Nobel Prize for his work on heat radiation. The Saarland votes to be a part of the German Reich. German submarines harass shipping near the U.S. east coast. Erich Honecker leaves Germany for Chile. Honecker had been the leader of East Germany. After the reunification there was the possibility of trying him for crimes against humanity, but due to his cancer he was allowed to leave Germany.